Firstly, take pan put oil in it and warm it. Then add cumin seeds and asafoetida, and onions sauté them till 1-3 minutes on medium flame. Now add green chilies and mashed potatoes and other ingredients like red chilly powder, dried coriander powder, garam masala, salt, dried pomegranate powder and mix well. Now take out mixture in a bowl and add corn flour or bread and the fresh coriander leaves and raisins. Make round balls from the mixture of equal size. You will be able to make 6-8 balls. 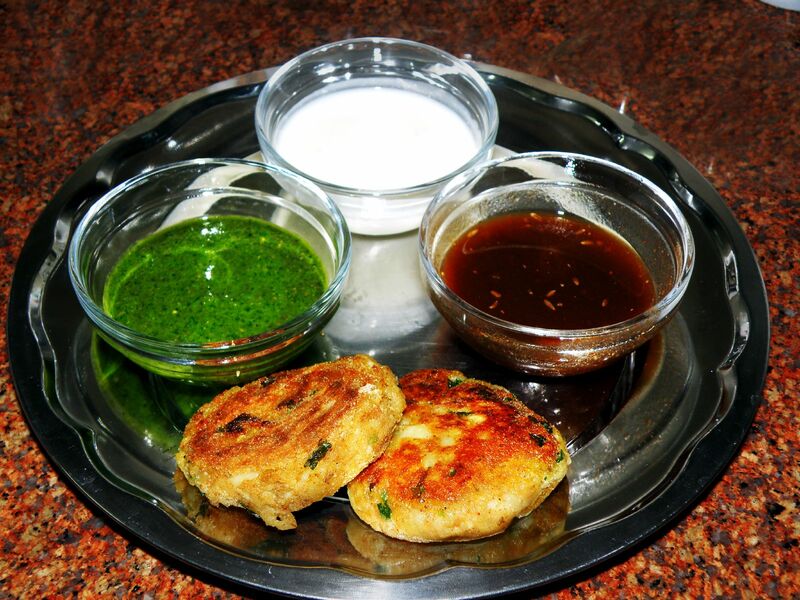 In a deep pan warm the oil and place tikkis in it and fry till golden brown….serve hot with tomato sauce or fresh coriander chutney or with curd.